The baby Range Rover is also infused with loads of safety equipment and, of course, luxury. Land Rover's smallest SUV gets a big update, adding new technology and heaps of luxury. The new Evoque has an optional mild-hybrid powertrain, a first for a Land Rover vehicle. The system uses a 48-volt hybrid system that replaces the alternator and uses the belts from the engine to help capture energy lost under braking. The battery for the system is stored under the floor in the Evoque which helps keep its center of gravity low. This new mild-hybrid system will be used to help give a bit of extra power to the engine as the vehicle accelerates. The Evoque maintains its transverse engine layout with either a 2.0-liter turbo powerplant producing 246 horsepower or the mild-hybrid with 296 horsepower mated to a ZF nine-speed transmission. Power is sent to the ground through standard four-wheel drive with several higher-tier trims receiving a more advanced system. The powertrain is not the only feature receiving major advancements. 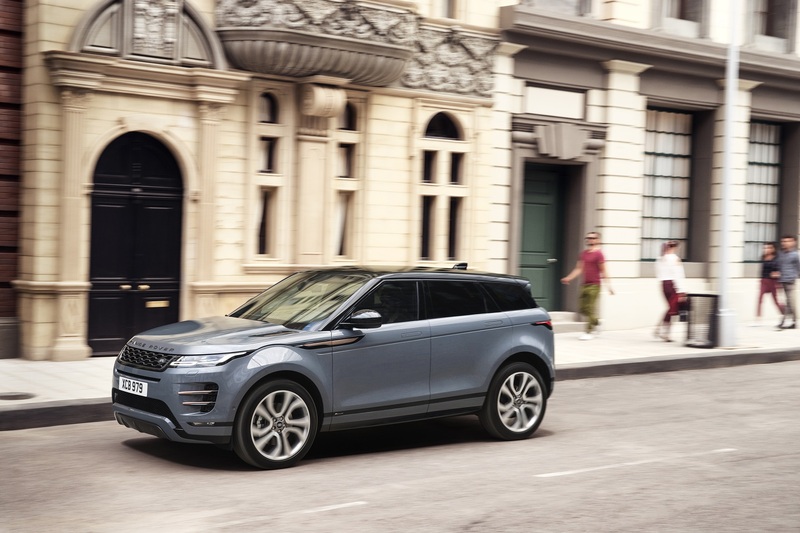 The 2020 Evoque is the first of Land Rover's SUVs to receive the ClearSight Gound View technology which allows the driver to "see through" the hood of the vehicle. This tech was first demonstrated in 2014 and has been further developed since then. Range Rover is also making use of new rearview camera tech, allowing drivers to flip a switch on their rearview mirror to enable a high definition view of what's behind the vehicle. While Land Rover isn't the first to implement this tech, it has made significant improvements to the system as the Evoque's camera has been designed with a protective lip to prevent mud and water from covering the lens, along with a hydrophobic coating to repel water spray. 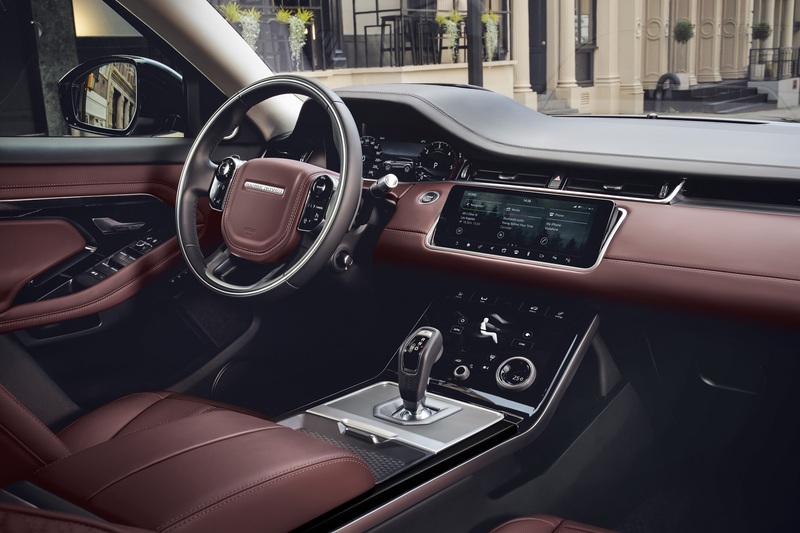 The interior also features the optional Land Rover InControl Touch Pro Duo infotainment system with two 10-inch touch screens, a 12.3-inch digital instrument cluster, and a full-color heads-up display. The infotainment features integration with Android Auto and Apple CarPlay, a 4G WiFi hotspot that can support up to eight devices, and serves as a hub for the Evoque's camera systems. As for the rest of the interior, it includes optional Click and Go rear seat tablet holders with charging capabilities and six USB slots throughout the cabin for all your charging needs. 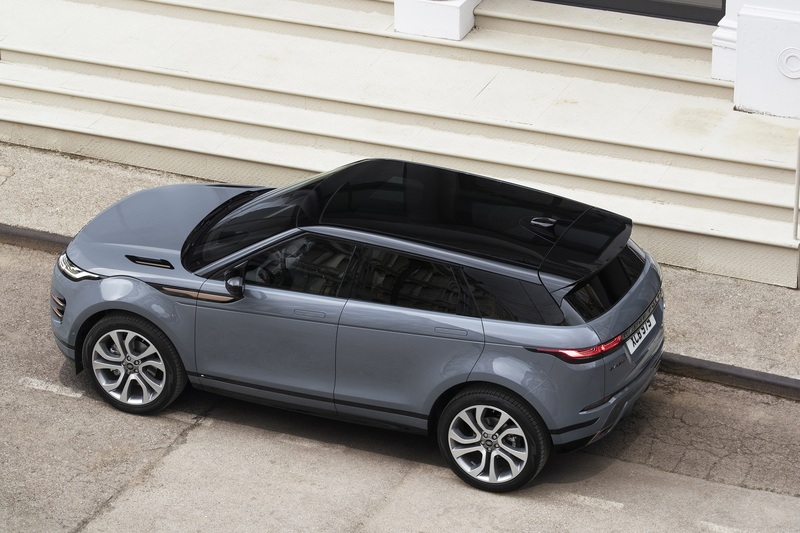 Land Rover has implemented its Smart Settings technology for the first time in the Evoque, which uses artificial intelligence algorithms to learn the driver's habits over time. The technology recognizes the driver from their key fob or phone and will adjust the seat, steering wheel, and even temperature settings. It will also learn the driver's media preferences and regularly dialed phone numbers depending on the time of day or week. The Evoque can also pre-heat or cool the cabin through the InControl Remote smartphone application. The baby Range Rover has the ability to receive wireless updates to improve the infotainment and other vehicle systems throughout its lifetime. To help keep occupants safe, the Evoque features standard Lane Keep Assist, Emergency Braking, and Driver Condition Monitors. These are just a few on the long list of active safety features. The Evoque boasts a standard Active Driveline system on the P300 models with electronic torque vectoring to balance the engine torque across the front and rear axles with cornering to maximize grip and steering confidence. However, the Evoque isn't focused solely on road-going performance. With 8.3 inches of ground clearance, up to 25 degrees of approach angle (with the Tow Eye cover removed), and 30.6 degrees of rear departure angle, it's the most capable compact SUV in its segment according to Land Rover. An optional active suspension called, Adaptive Dynamics, can monitor ground conditions every 100 milliseconds to adjust the dampers for a composed ride on and off the beaten path. Land Rover's Terrain Response 2 system is standard for the first time on the Evoque. The system features five driving modes—General, ECO, Sand, Grass-Gravel-Snow, and Mud and Ruts—to help set up the vehicle for every situation. There is a new auto mode for the Evoque that allows the vehicle to select the appropriate profile for the conditions at hand. The Evoque also has increased wading depth, up to 23.6 inches, which can be monitored with the optional Wade Sensing ultrasonic sensors in the mirrors to measure the depth of the water. 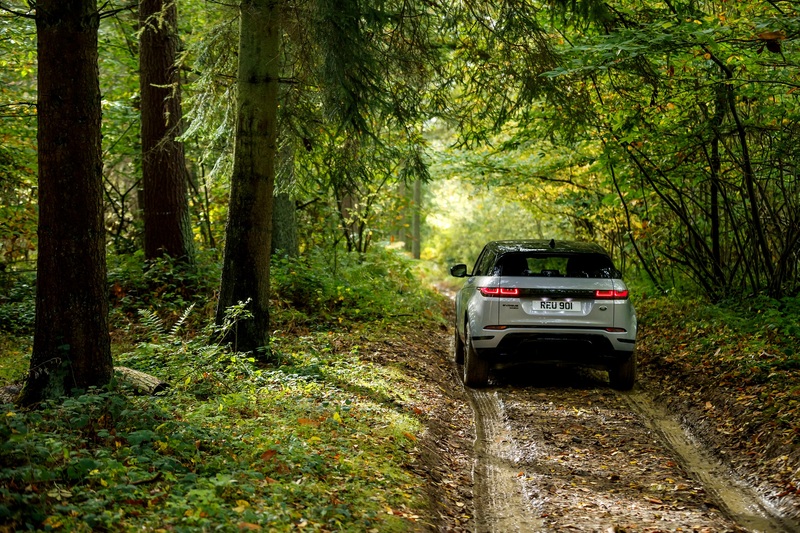 On top of the driving modes, the Evoque also features Hill Descent Control, Gradient Release Control, and All-Terrain Progress Control to help drivers tackle any off-road obstacles. 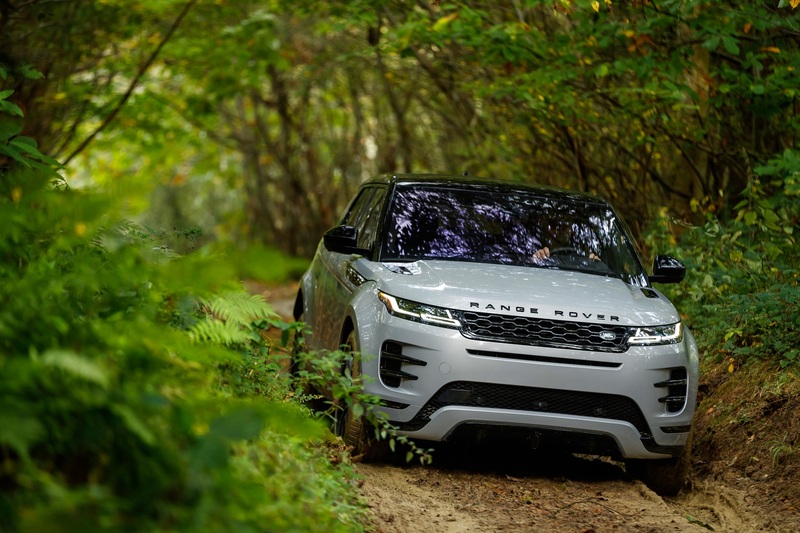 This time around, Land Rover focused on making the Evoque more sustainable with up to 72.8 pounds of natural and recycled materials used in its production. Cabin materials made from wool and eucalyptus are available, and efforts were made throughout the development of the Evoque to reduce water usage. 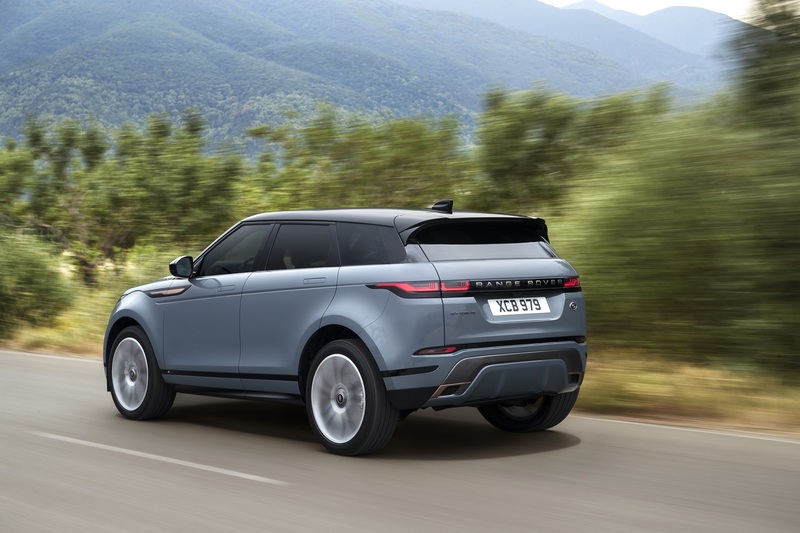 The 2020 Range Rover Evoque goes on sale in spring of 2019 with a starting price of $42,650 for a base model while the range-topping R-Dynamic HSE trim starts at $55,800. For early adopters, a First Edition featuring an exclusive Nolita Grey is available with the standard engine starting at $56,850.